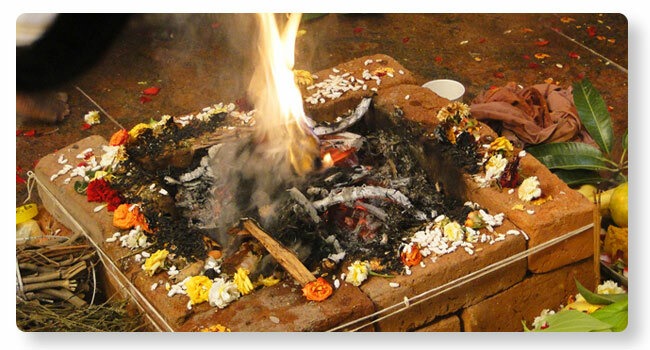 Putrakameshti is a special homa performed for the sake of having a male child. Putrakameshti yaga is dedicated to Lord Maha Vishnu. Lord Srihari bestowed the knowledge of this procedure to Sanatkumara. Even, Sage Vasishta recommended Putrakameshti yaga to king Dasharatha. Dasharatha performed Putrakameshti under the supervision of Sage Rishyashringa. Dasharatha was blessed with four male children Sri Rama, Lakshmana, Bharata and Shatrughna after the completion of the homa. Krushna Yajurveda scripture mentions this procedure.